Interested in flying around the world on frequent flyer miles? A laudable goal. The good news is (assuming you’re American) this is easy to do. If you’re itching to get started you can check out available frequent flyer miles credit cards here. In the first option, you accrue points by using your credit card. These points can be redeemed for many things, including flights. In order to use them this way you have to transfer the miles to a frequent flyer program where you are a member. In the second option, the credit card issuer (eg the Bank) manages the card, and any points you accrue automatically show up in your frequent flyer program, which is run by the Airline. This means you can have more than one credit card accrue miles into a single frequent flyer account. It also means that no matter what happens to the credit card, you keep the points as long as you have the frequent flyer account. Either way, it’s easy to use the reward miles or ‘points’ once you get them. Get approved for the card and meet an initial spend requirement in a certain timeframe to get a large miles bonus. For example, many cards offer 30,000-50,000 rewards points just for signing up and spending $3,000 on the card within the first three months of using it. For most people–unless you run a business or have abnormally high monthly expenditures–this is the single best way to accrue rewards points. Get miles/points for every dollar you spend on the card as you use it. These rewards vary but the best cards offer 2 points per dollar spent. Some cards offer 2 or more but only on specific categories like ‘Travel’ or ‘Restaurants’, and 1 point per dollar spent everywhere else. It’s better to find a card that offers 2 points per dollar on everything. Get some extra bonuses for using the card. Some cards offer a free checked bag on the associated airline, free priority boarding, etc. And some have a ‘redemption bonus’ which means if you spend a certain amount on the card or use a certain number of miles a year they give you a 10% bonus in miles or points. Personally, I’ve never accrued a great deal of miles from frequent-flyer programs alone. You won’t earn them if you’re flying on miles (which is what I’m recommending here). Some folks accrue a lot of miles if they have to fly for business, for example. In general it’s best to sign up for and use frequent flyer programs whenever you can since miles do accrue over time. It’s easy to sign up for a card. Obviously, most of these offers are geared toward Americans although some other countries are catching on. Check out available frequent flyer miles credit cards here. Booking flights is easy once you have enough miles. Typically it’s an exchange rate of about 10,000 miles = $100, although some programs offer extremely discounted rates. For example, at least one carrier offered (until recently) a 20,000 mile one way flight from SFO to anywhere in Europe. 20,000 = $200 so not bad. Another carrier offers stopover options which means you could fly Europe to California to SE Asia on a single ticket for the same price as one flight. Every program is different so it’s worth looking into the specifics. If the credit card has it’s own reward points, you’ll have to first transfer the miles to a frequent flyer program, or often you can book flights directly through the credit card login (though this is often more expensive). If the credit card is linked to your frequent flyer program you simply book a flight with that airline as you normally would. Most airline interfaces have a ‘book reward travel’ option on the site where you can search and view flights by miles required. It’s easy to book flights with miles by either using the program’s online tool or calling the airline. The best part about airline miles is their flexibility. Earning miles on one carrier does not restrict you to flying on that carrier alone. 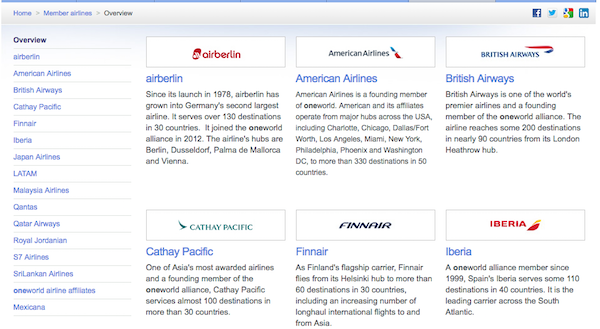 OneWorld – American, British Airways, LAN, etc. Star Alliance – United, Singapore Airlines, Lufthansa, etc. Skyteam – Delta, KLM, etc. With American miles you can get flights on British Airways, LAN, and so on. All you have to do is call American up and ask for flights from A to B. Usually these options won’t be completely obvious and it’s best to call the airline to ask about them. Often when searching for reward flights you’ll see something along the lines of ‘no routes found’. This simply means ‘no routes found that we service’, and at this point I typically call and ask if there is a way to get from A to B. Frequent flyer program customer service is generally pretty good and agents are very helpful. That said, be aware that some programs will charge for over the phone bookings, so I often call to figure out the details and then book myself (if I can) online. What about Flight Fees and Taxes? Each carrier has it’s own fee schedule, which is typically just the airport tax (so it depends on routing). This can be a very important part of choosing which program to use, since each carrier often has a preferred flight plan through a major hub airport. For example, flights landing in London Heathrow (LHR) have significantly higher fees than other airports in Europe (eg Berlin Tegel). Fees for a flight can be as little as $0 or as much as $300 (LHR), but in my experience are usually less than $100. Here’s a trick to avoid paying taxes and fees on reward tickets: When you pay for the ticket and associated fees, use another credit card that accrues points that can be redeemed for travel expenses. When the taxes and fees show up on this extra card, simply erase them with points. Not free, but pretty close. Can I Change Flights Booked with Miles? Absolutely, and the amazing thing is (at least with certain programs) you don’t have to pay any fees to change as long as you don’t change the departure and arrival city. I’ve changed a single flight up to 8 times for $0 is fees because I just didn’t feel like leaving yet. You can also book regional flights in advance and if you don’t want to go change them later. Each program is different, but I’ve found flights booked with miles to be surprisingly flexible. What is the Best Frequent Flyer Credit Card? 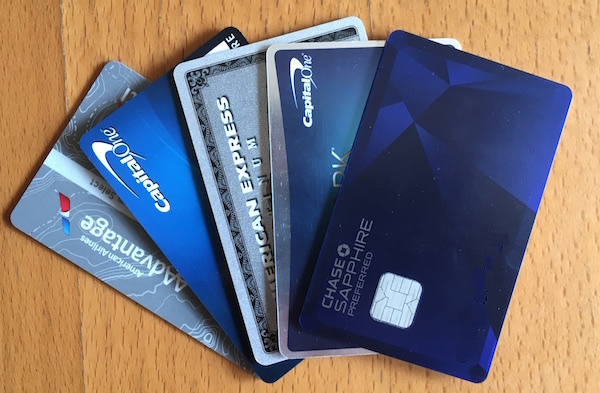 This depends on a few things: which card is best for your usage, what your credit score is, and which frequent flier program you’d prefer to use. Has the lowest annual fee. Gives you the highest signup bonus with the lowest initial spend requirement (eg ‘spend $1000 in 3 months to get the bonus’). I would shoot for a bonus of at least 40,000 miles. Gives you the most miles per dollar across all categories of purchases (eg 2 miles per dollar on all purchases). Does not have foreign transaction fees (surcharges for purchases made outside the USA). Gives you extra perks, like priority boarding, free bags, and so on. Gives you a bonus for using miles, eg 10% of the miles redeemed are credited back to your account or 5% bonus for adding another person to the card. Ultimately, it’s up to you which card and program will work best. Take a look the options, and bon voyage. 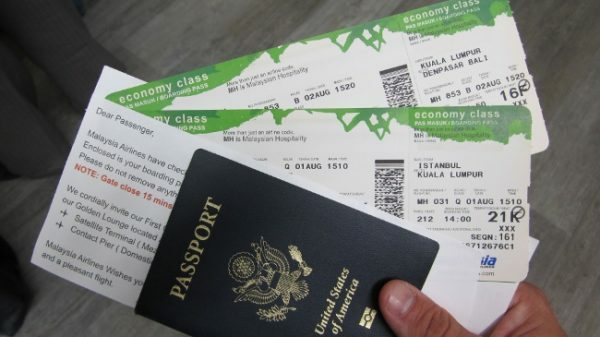 How to keep track of Frequent Flyer Miles. What happens if you suddenly have thousands of frequent flyer miles in several different programs? Not a bad problem to have, and I’d suggest the simple solution of a Google Doc spreadsheet with a record of each program and the last mileage count. There’s no need to log these numbers more often than you log into the account, unless you book a flight or expect to accrue a massive signup bonus. Tripit Pro – a personal favorite of mine (and other travelers) for ease of use. It’s one of my favorite travel apps and also has a feature for tracking miles. Personally I use a spreadsheet since most tools can’t track all programs (there’s always at least one that won’t work). But these can save you a lot of time and hassle if they work with your program. How to keep track of Credit Cards. This is the other side of the coin: what happens if you sign up for 8 cards and now have 8 annual fees hovering + monthly payments? Never, ever carry a balance on a credit card. Any time I sign up for a card I immediately set up auto-pay with my bank account so I never have to think about it again. I load the card into Mint.com so it’s easy to check the balance. And since my spending is pretty well in check and I’m on top of it I never worry about this system failing. Track your credit cards in a simple Google Doc. A simple tracker will do, with signup date, annual fee, miles earned, etc. You’ll have to check this once a month/quarter to stay on top of it or set up Google Calendar reminders. No big deal. Will signing up for credit cards hurt your credit score? I’ve never seen any evidence of this, and most people say no, absolutely not. So adding credit cards increasing your total credit available. As long as you pay off all balances on time and don’t accrue any fees I’ve only seen my credit score go up over time with this system. Should you sign up for lots of Frequent Flyer Credit Cards? No way, or within reason. Remember: there is no free lunch. Getting bunch of miles by ‘credit card churning’ is hard to manage and not worth the time if you have any other income sources. Get a couple cards and get the mileage bonuses to start out. Put all your expenses on the good ones. Maybe once or twice a year get another card. No need to go crazy with this. Another reason to be careful with signing up for cards is annual fees, which can be substantial (e.g. 10 cards x $95 annual fee = $950). Some of the upper-tier rewards credit cards have fees around $450. Keep the card. My best cards I’ve had for 5+ years and they are totally worth the fees. Cancel the card. Probably the worst option since it reduces your total credit available which can change some of the variables in your credit score. That said, it’s not that big of a deal. Roll the credit line to a no annual-fee card. This essentially cancels the card and rolls the credit to a card with no annual fee, meaning you keep the credit line but ditch the card (and the benefits). Call to ask if the fee can be waived again. This is a good chance to practice negotiation skills, but essentially you can call to ask if there are any ‘special offers’ available where if you spend another $1,000 or something like that you get the fee waived. You can also tell them you like the card but can’t afford the annual fee. Worth a shot and if it doesn’t work you can also resort to the other options. So, in summary, what is the best rewards credit card? It depends on you: available frequent flyer miles credit cards here. Note: The links to CreditCards.com are affiliate links, although for years I’ve offered the same advice without being affiliated with the credit card industry in any way. Please see my affiliate disclaimer for more information.